Fill in your details below and we will let you know within 24 hours if we can get Deck Box: Convertible Dual GR to you with haste! Premium deckbox with fully removable/interchangeable cover. 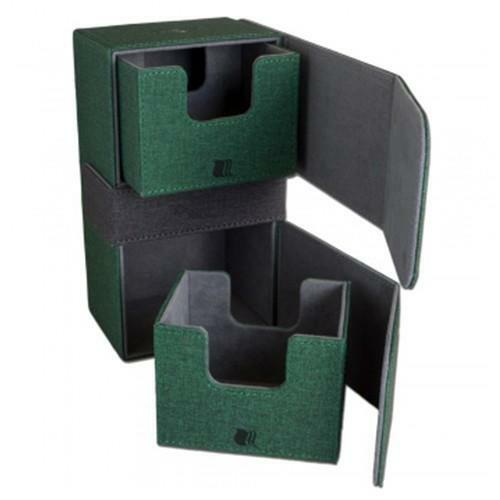 Holds up to 200 double sleeved cards in two horizontal compartments. Made from high quality faux leather and soft microfiber liner material. Includes removable dice compartment. Fully removable cover allows free access to your cards. Compatible with other CONVERTIBLE products.